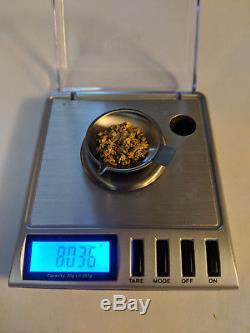 This listing is for 8.036 Grams Of Yukon Gold Placer Nuggets - As shown in images. 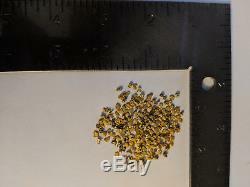 SIZE - 10 Mesh Natural Gold Nuggets. 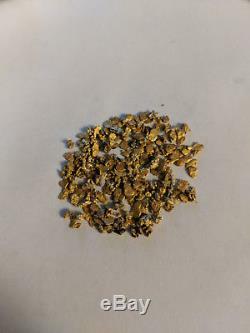 100% Genuine Gold Placer Nuggets. Mined from Bear Creek, Yukon Territory Canada! Feel free to message me with any questions. The item "8.036 Grams Yukon Gold Placer Nuggets 10 Mesh Natural Gold Nuggets" is in sale since Tuesday, November 13, 2018. This item is in the category "Coins & Paper Money\Bullion\Gold\Nuggets". The seller is "dbdb17" and is located in Squamish, British Columbia. This item can be shipped worldwide.